MPD Kid’s Club – Filming to Feed! MPD stands for Motion Picture Development. 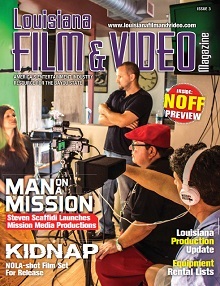 Through this program, students have learned writing, directing, cinematography, acting, and editing for television, digital film, documentaries, and more. Through the efforts of Digital Media Production House and the non-profit Louisiana Arts & Entertainment (LA&E), producer/director Aaron L. Williams has begun his on-camera class that is televised weekly to offer Louisiana’s children national exposure in addition to their training. This first group of Louisiana actors featured below have been hard at work filming 10 episodes of The Informer on channel 10 weekly at noon. Now it is time for this group to have some fun and join hands with the Baton Rouge Food Bank to feed families. Filming to Feed! Back row: (l to r) Peyton Whitcomb, Brock Kaufman, Carter Hunt, Benjamin Leggins, Logan Watts, Ben Schexnaydre, Joshua Hodgenson, Casey Alfutis. Front row: (l to r) Chaislyn King, Katie Brown, Carol Wells, Bailey Sacco, Logan Guilbeau, Ashleigh Martin, Abigail Bernard, Allysia Williams, Alexandra Johnson. Not shown: Mark Mills and DJ Mills. Picture by Pam Brown. 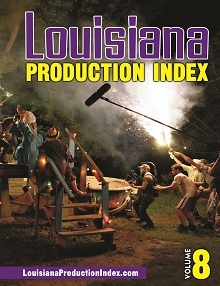 The cast of Louisiana actors film their last two episodes and plan on having some fun on the show while they encourage other local students to give back to the community. The cast will be at the Mall of Louisiana under the food court for a special meet and greet on Sunday, November 6, from 1 to 4pm. The young actors are encouraging other students to collect nonperishable food items from friends and family as they collect items too. Visit the site at www.MPDkids.org.